Premier Sundecks began in 1997 as a Landscape Design company, before we changed over to PVCu sundecks and veranda's. 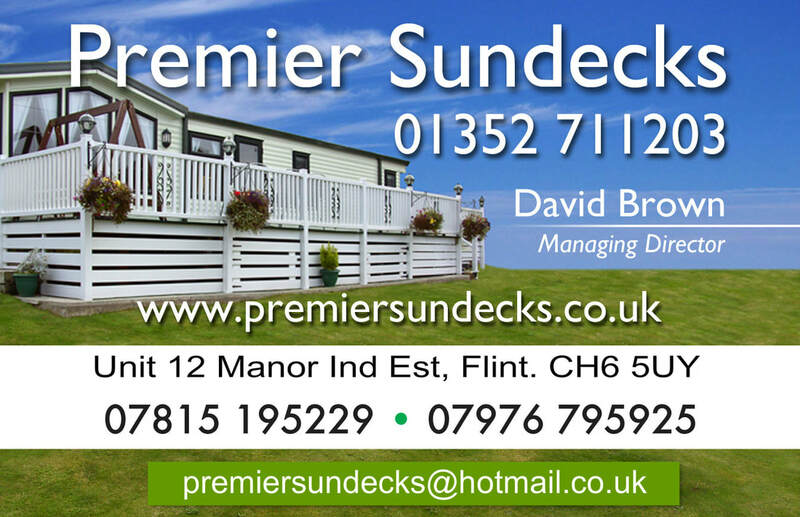 We deal mainly in the Holiday home and caravan industry, as well as Park Home living. We are a family business and strive to offer you the best value steps and sundecks. Happy to welcome you in our workshop. We are eay to find on the A548 North Wales Coast Road. Deliveries of ready made Sundecks. 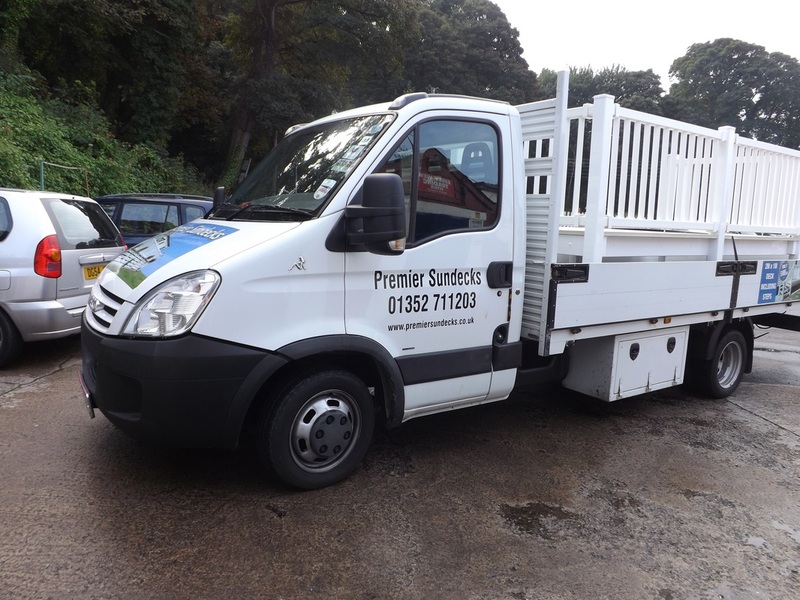 Delivering our Sundecks and caravan steps ready made.